The Marine Nature Study Area in Oceanside, New York, is, as I have repeatedly stated, a great place to see birds. The boardwalks through the saltmarsh get you into the habitat in a way that is usually difficult to do without wearing boots and trampling plants, and the constant presence of people there means that the big waders get somewhat accustomed to seeing humans as harmless. I’ve had Black Skimmers barely clear my head there, Clapper Rails put on a show, and Great Egrets impress with their sheer size and beauty. The Marine Nature Study Area is also where, back in 2007, I added both Seaside Sparrow and Saltmarsh Sparrow to my life list. 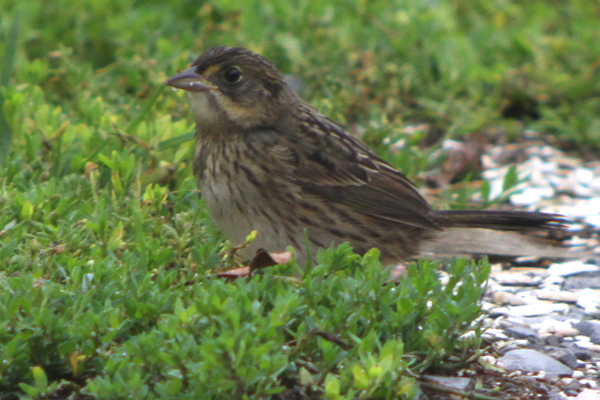 So during my recent visit there on a day spent birding across coastal Nassau County I wasn’t surprised at seeing both Ammodramus maritimus and Ammodramus caudicutus but I was rather amazed at how confiding they were. 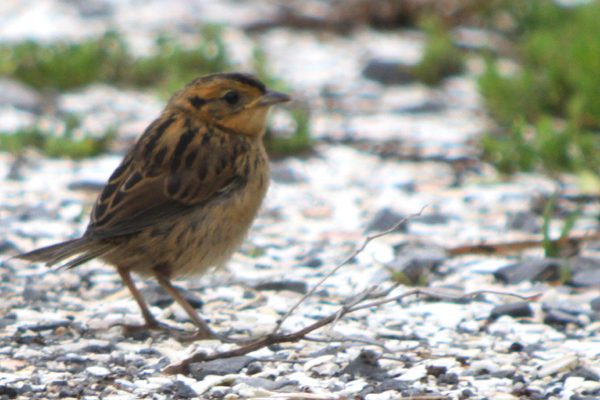 And all three of us were astounded when, one after the other, both a juvenile Saltmarsh Sparrow and a juvenile Seaside Sparrow plopped down on the trail for us to study and photograph. Confiding birds are one thing but when birds throw themselves at your feet, well, what can you do but smile and enjoy it? 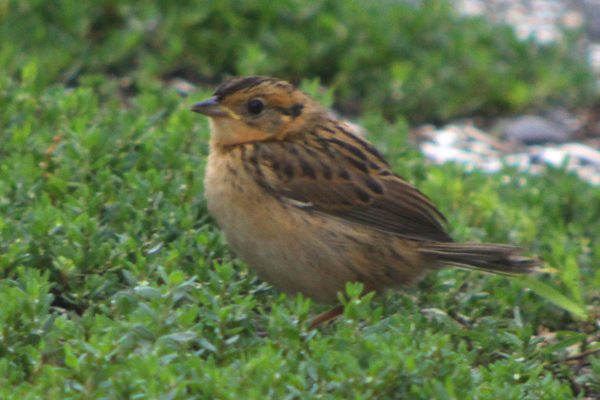 Here, first, is the juvenile Saltmarsh Sparrow, marvelous in its orange-and-brown garb. 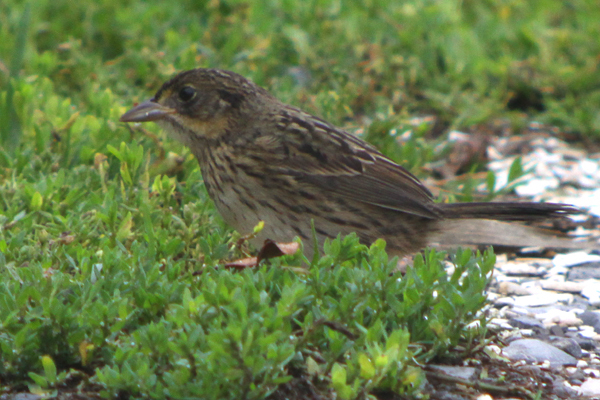 And here is the juvenile Seaside Sparrow in what is more typical streaky juvenile sparrow garb. Here’s hoping both youngsters find good wintering grounds and return to the Marine Nature Study Area to raise their own offspring! What, no turtle this time? 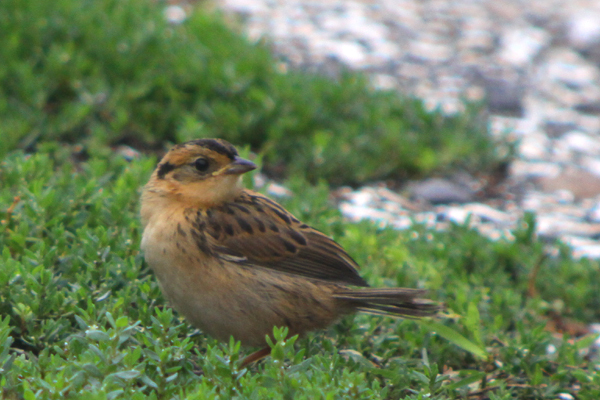 Ammodramus rock the sparrow world. Great pics! 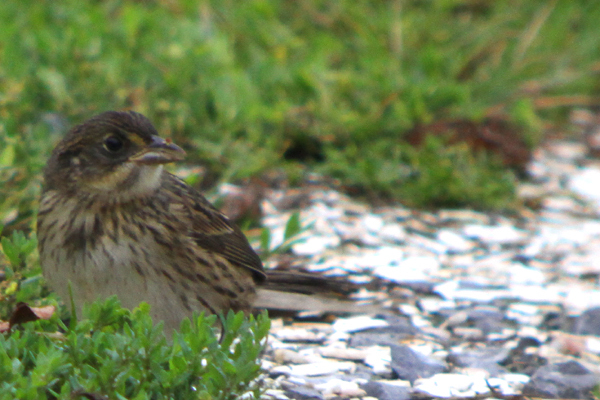 Ammadromus sparrows hopping out on the path-that sounds like my kind of site!